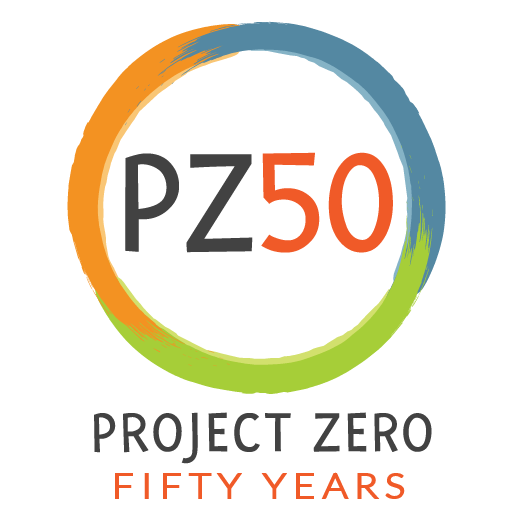 Part of a yearlong series exploring Project Zero’s 50 years of innovation in education. Young people face an ever-escalating assortment of ethical challenges as they navigate adolescence in today’s world. Too often, there’s no chance for them to think through the range of responses to scenarios in which, often, there isn’t a right or wrong answer or a well-defined path. When confronted with murky forks-in-the-road — a decision over whether to share an image from a sleepover that excludes a friend, or whether to report a classmate you think is plagiarizing — many teens just react in the moment, trying to balance social pressure, school rules, and their own moral instincts. To begin to build ethical decision-making muscles, teachers can turn to a new interactive module developed by The Good Project, a research group at Project Zero co-founded by Howard Gardner. This new tool puts middle and high school students into two scenarios that present ethical dilemmas in the real world, with complexities and arguments on many sides. By exploring the values and beliefs of the characters at the center of these scenarios, teens get to know their own values, and they come to see how their decisions can ripple out to affect their wider communities. The new module is based on the pre-existing GoodWork Toolkit, a curriculum developed to familiarize high schoolers with the meaning of “good work” — as defined by excellence, engagement, and ethics. The toolkit has been used in educational settings from elementary to graduate school and with professionals in sectors from education to business. The new module was created to make some that content more relevant to today’s digital learning landscape. In one, a young Asian-American actress considers whether to take a good role in a play, even though that role seems to reinforce Asian stereotypes. But the role could significantly boost her career, allowing her the influence she needs to change the paradigm, help other aspiring actors and actresses, and begin to do work that challenges stereotypes. In the second, the editor of a high school newspaper considers whether to cover a highly controversial allegation that is trending among the student body and being covered in the local news, even though she doesn’t yet have all the facts about the story and the school administration doesn’t want her to cover it. After working through these scenarios and answering reflection prompts, students do an exercise where they think about how they prioritize their own desires. Teachers can extend this ethical reasoning in a variety of ways, Good Project researchers suggest. and health or phys ed teachers could use the framework to help students explore motivations for their actions and behavior. Teachers can follow up by building reflection time into their classroom practices, having students journal about or talk in circle about tough situations they face, and encouraging students to think deeply about their values and life goals, for example. “By the end of this experience, we hope that students will be able to recognize dilemmas in their own life, to talk about their values, and understand what it means to make an ethical decision,” the researchers say. Explore your values and prioritize your goals with this value-sorting tool. How to build an ethical, honest, collaborative community in your classroom.